“Everybody can be great because anybody can serve.” (Martin Luther King Jr.) That was the message the Chester County Food Bank used to promote their food drive in honor of this year’s National Day of Service…which made me think about our little ones and how this is a great way for them to help. Food is a basic necessity and as parents, we’re always working on teaching our kids the importance of a nutritious meal. And what better way to help teach this lesson then to work with an organization that is ensuring the availability of nourishing food. 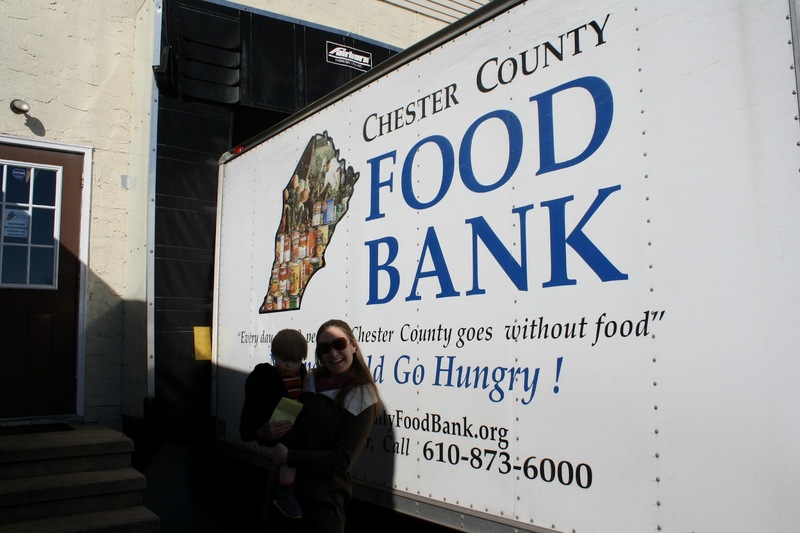 The Chester County Food Bank supplies those in need with nutritious meals, not only to survive – but to thrive. We learned that our local food bank distributes food to 65 food cupboards and meal sites which serve over 40,000 hungry families in our county. Some of this food is provided by the state but the Food Bank relies heavily on donations of non-perishables from the community in order to serve all of those in need. The Food Bank harvests fresh produce through their Gleaning Program which plants and harvests in cooperation with local farms, plus a Raised Bed Garden program which is 100% volunteer based, with many of these gardens located at local schools and churches. They also run a Backpack Program which provides much needed supplemental food to children in backpacks sent home with them on Fridays during the school year. There are 12,000 school age children in Chester County that face hunger in their homes every day. They rely upon the free or reduced meals at school to help, but when the weekend arrives, they are not sure if there will be food to eat. Many families are struggling to afford food during these tough economic times and the idea that some of our neighbors and friends don’t have enough to feed their hungry children is heartbreaking. On a personal note, Jack (and his parents) would like to thank our friends and family that helped with the Jack Gives Back Food Drive, including all of Jack’s daddy’s co-workers at Quadratec and our friends in the MOMS Club of Downingtown. And last but not least, one of my favorite parts of our “Jack Gives Back” volunteer opportunities and blog is capturing our experiences and choosing which photograph to share. This time I picked one very simple, poignant image. 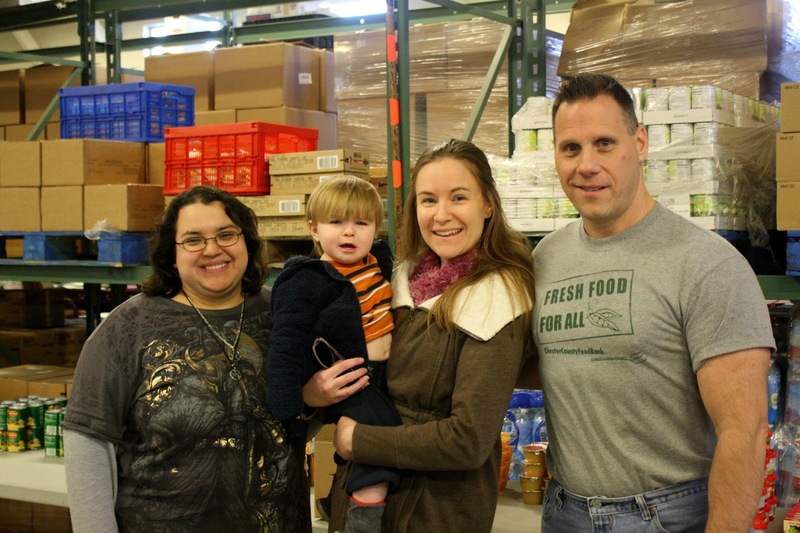 Pictured here are the friendly Food Bank staffers with mommy and a very sad Jack who was just told how desperately they need donations. If this picture doesn’t say a thousand words and make you want to help, I don’t know what will? Jen is a local, organic, stay-at-home mom who is teaching her son Jack the importance of giving back to their community. To read more about Jen and Jack, head over to Fishies of Hope or Jack Gives Back.